Once again teaming up with designer Benjamin Nethongkome, the Nike Kyrie 5 was designed to help Irving play quicker and sharper. The biggest technological advancement of the model is the new Air Zoom Turbo unit. 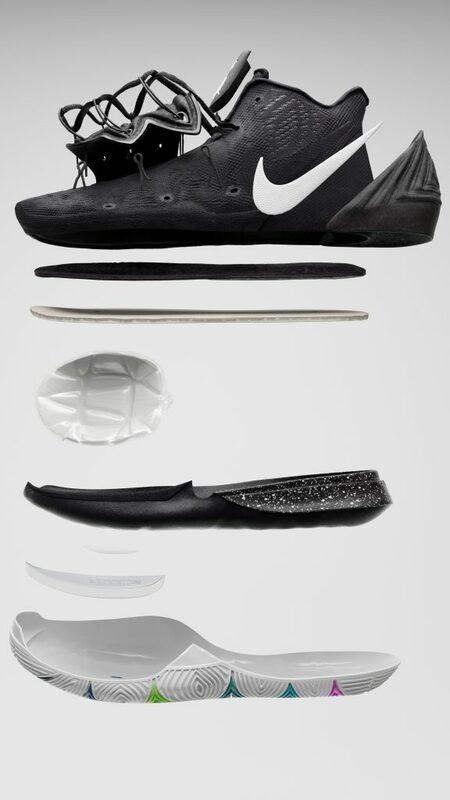 Designed for quick start-and-stop play, the unit curves to the outsole and provides responsiveness in all directions. Ensuring your foot locks into the Air Zoom Turbo unit is the new containment system (which amplifies the response) is the the new containment system. Inspired by a venus flytrap, the upper was designed to be both aesthetically pleasing and improve the overall fit and feel of the shoe. 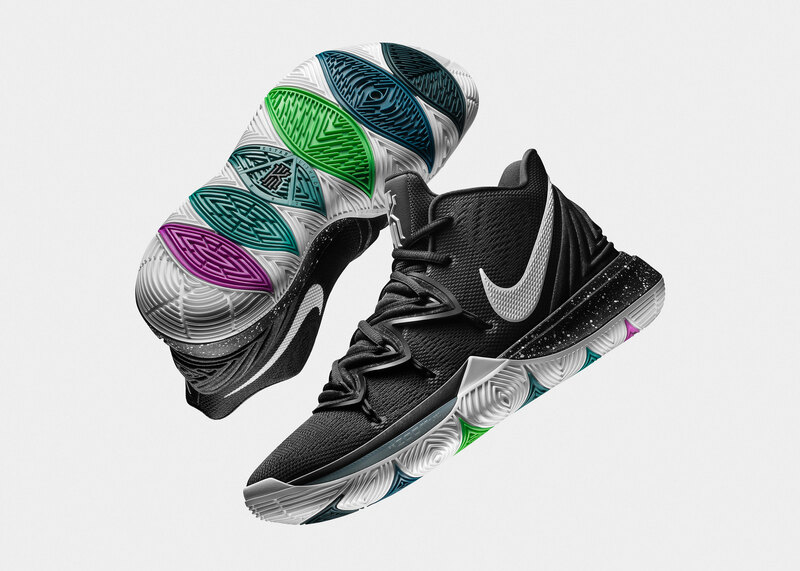 The above mentioned sits atop a new traction pattern which draws inspo from the Hamsa tattoo on Kyrie’s left arm. That particular tattoo was chosen because it’s a shield of protection for Irving, shielding him from negative energy. 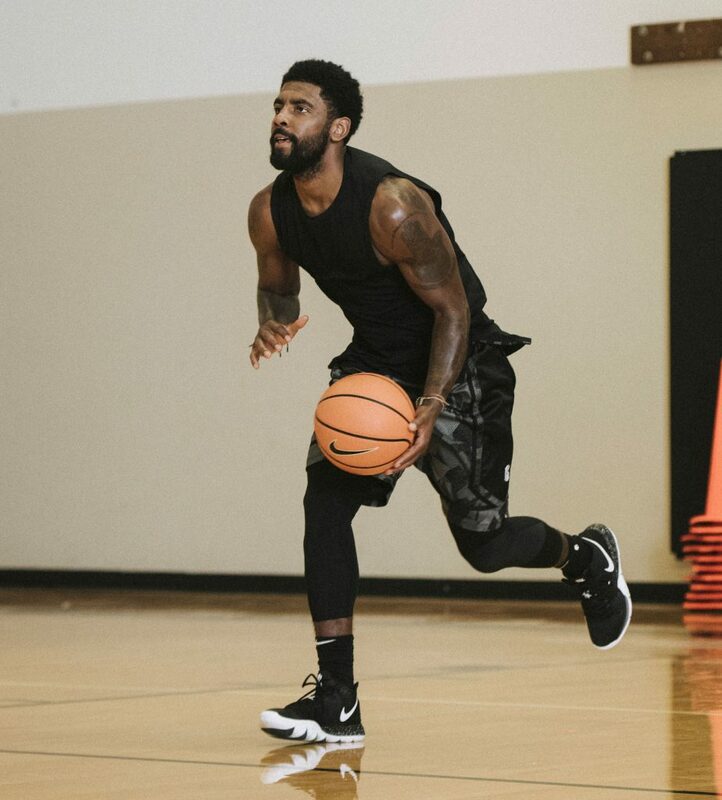 A man with a vision, Kyrie has ensured that the Kyrie 5 is going to be “more honest.” Going as far as to include details from his personal life on the shoe. 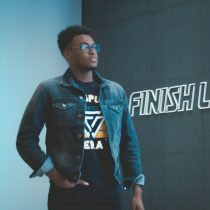 Such as the all-seeing eye on the back of the heel, his personal mantra “just be you” and a reminder from his father to stay “hungry and “humble” on the toes. The names of his mother, Elizabeth, and daughter, Azurie are also featured on the sides. Recognizing the importance of relatability, he wants to use his latest model as a vehicle to tell stories (his and others). In that aforementioned Nike piece Kyrie said this: “People sometimes feel like they’re alone or they feel like they can’t connect to anyone. I want to come in and bridge that gap for them.” Strong words and a great message. Putting his money where his mouth is, for the Kyrie 5’s lifespan every colorway will bare Kyrie’s stamp of approval. Create your own story with the Nike Kyrie 5 on 11/23 at Finish Line.